They have shared their love for half a century. Our 50th Anniversary Poems collection celebrates this golden milestone with words of love, praise, and best wishes. These thoughtful sentiments from the writers at My Word Wizard will let them know how much how much joy and inspiration their love brings to all around them. Keeping the flame alight for 5 decades is no small achievement. Tell them how much you share in their celebration with these expressions of happiness from My Word Wizard. You have done something that not many have. And you have reason to celebrate. Nothing is more special than a 50th anniversary. And that it’s a day that you will never forget. And you deserve the chance to celebrate. Each anniversary is a precious gem. It's the gold that encompasses the others. And you will have many more years to spend. A 50th anniversary is a rare treasure. When it does it’s something to be celebrated. As the two of you are and always will be. And your happiness we share. So here’s to a special couple. May your happiness live on. Every dusk and every dawn. Are you a poet or aspiring poet? Our editors are always looking for new poems to add to our collection. 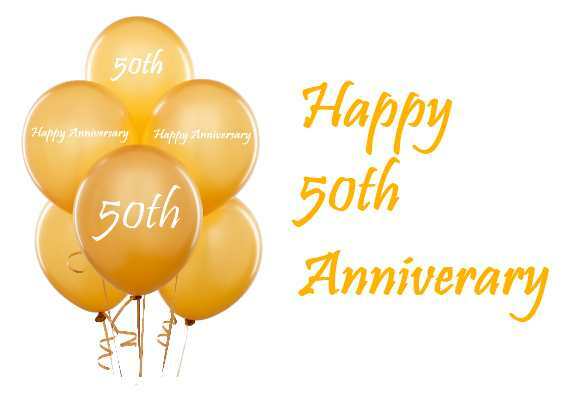 Submit your 50th Anniversary Poems to our editors by clicking the "submit a poem/contact us" link at the bottom of this page.